All month long, the Hollywood Farmers’ Market will be celebrating its 25th anniversary. If you missed the kickoff yesterday, no worries because there’s still a lot more to come, including demos, talks, and book signings from food sage folks like Brendan Collins, Valerie Gordon, Curtis Stone, Mihn Phan and lots more. Festivities take place every Sunday this month at the Hollywood Farmers’ Market, located at Selma & Ivar Aves., from 8:00 a.m.- 1:00 p.m. Find the full schedule of events on their website. 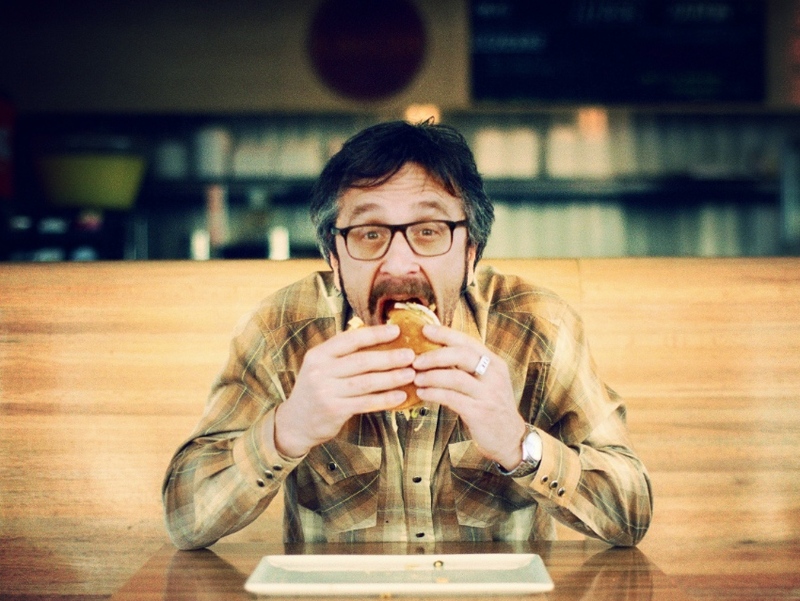 One of Northeast L.A.’s biggest celebs Marc Maron has his own burger at The Oinkster. The Maron Burger was introduced three years ago, and this month it’s back to mark the premiere of a new season of the comedian’s TV show. It’s a really delicious concoction: the beef patty is stuffed with chorizo queso fundido (that spills out in the most luscious manner) and dressed with escabeche on the bottom, New Mexico green chile relish on top, and chipotle aioli on both sides. It, along with the horchata shake, is available at The Oinkster’s Eagle Rock and Hollywood locations all through May. The Oinkster is located at 2005 Colorado Blvd. 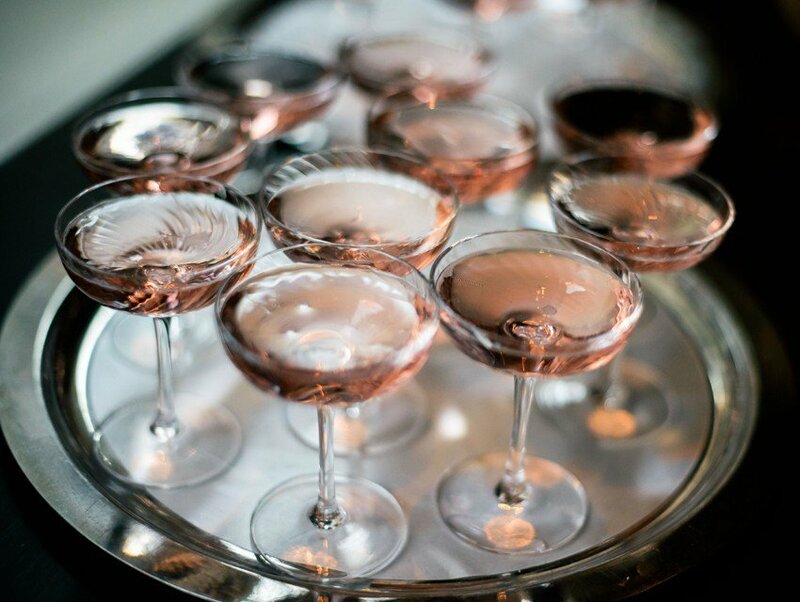 ; 776 Vine St.
Rosé wine finally got its due last year—an entire event dedicated to its pink-hued magic. Well, La Nuit en Rosé is back again in L.A. this year with three days of rosé-fueled festivities, including a wine-pairing dinner, a sunset soirée, and a pool party. Each includes all the rosé wines and rosé Champagne (more than 60 different varieties) you can drink. The undisputed king of fermentation, Sandor Katz, is coming to L.A. for a pickle party. The one-day event at Grand Central Market will include pickle-centric specials from vendors, talks, demos and, oh my goodness, Katz will be hosting “kraut mob,” which is, essentially, the crowd-sourced making of 1,000 pounds of sauerkraut. Guests will get a jar of kraut to take home for their efforts. Grand Central Market Pickle Party takes place at 317 S Broadway on May 15. Admission is free. 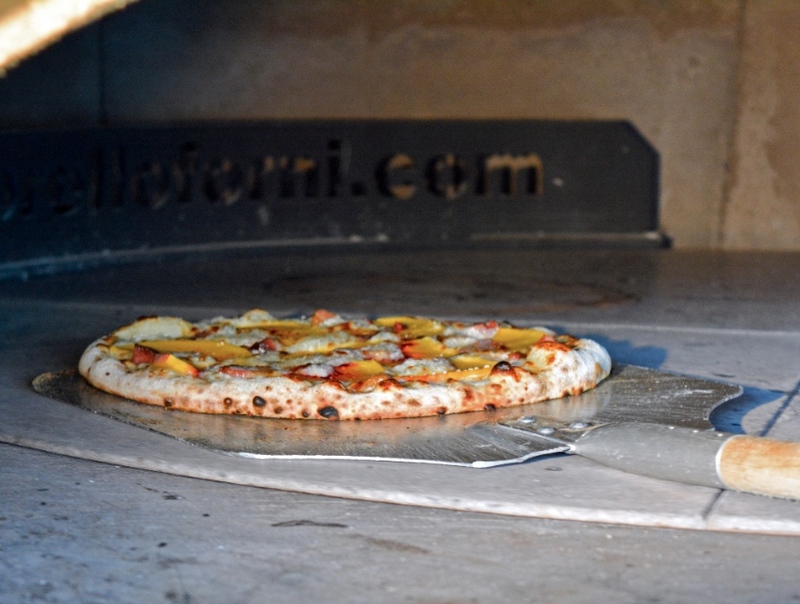 Pizza Romana is hosting a series of pizza making classes, starting this month. Owner Alex Palermo (also of Cube) will instruct students in hands-on Roman style pie construction, plus, you get a wine-pairing tutorial, pizza, and lasagna (served family style) with the price of admission. Pizza Romana is located at 615 N. La Brea Ave. The first class is May 21 from 3:00 p.m.- 5:00 p.m, and two more will follow in June and July. Price is $60, and tickets can be purchased online. How many strawberries can you eat in one day? You’ll find your answer this month in Oxnard at the annual California Strawberry Festival. Over 50 food booths will be selling everything from deep-fried strawberries (because it’s not a food festival until something gets deep fried) and crepes to berry-infused margaritas and funnel cake. Many of the booths are run by charities who get to keep all the profits. There’s also a strawberry shortcake-building contest and strawberry hat competition.